A group of children are sitting and playing with some legos, and you spot your child stacking one on the tower as it topples over. From the outside, it just looks like your child is having a bit of fun. 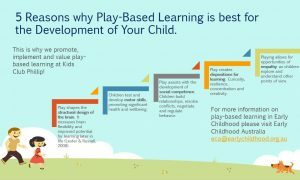 In fact, when a baby, toddler or preschooler is engaged in a play-based activity there’s a whole world of learning involved. Play promotes skill development, literacy and numeracy among plenty other things. However, a play-based learning curriculum covers both fun and learning and can provide the foundation for success in school, and life. Children are supported to explore their interests, allowing them to experiment, negotiate, take risks, create meaning, build relationships, develop persistence and feel good about themselves. And because they’re having fun, it sets up a life-long love for learning. 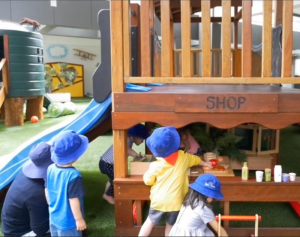 There’s a reason play-based learning is a major part of the Australian Early Years Learning Framework (EYLF). 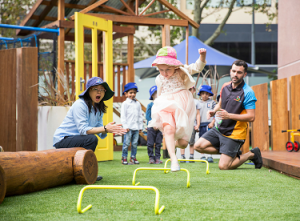 According to Early Childhood Australia, researchers have found play creates a brain that has increased flexibility. It improves the potential for learning later in life and children who experience quality play are more likely to have well-developed memory skills and behaviour regulation, which can enhance adjustment to school and academic learning. “It’s the kind of learning that stays with them for life,” says Miss Shelli from Kids Club. 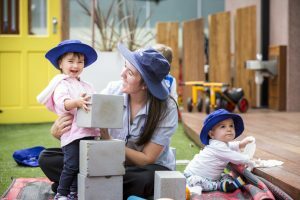 Kids Club Clarence Street Centre Director says it doesn’t matter how children learn – through touch, movement or visual engagement – play-based learning caters to all styles. “Generally, when they’re playing it’s about making sense of the world,” Miss Shelli says. 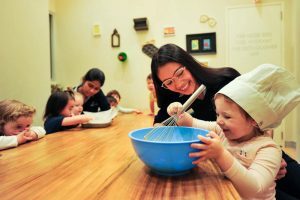 What is an educator’s role in play-based learning in childcare? A Kids Club educator is an intentional teacher, meaning they are deliberate and thoughtful in how they approach play. It’s the opposite of rote teaching or relying on past practices without allowing room for flexibility and a child’s individual style. They use their training while observing children closely and tailor the learning experience to their needs. Play-based learning can occur on a continuum between completely child-led and educator-supported. An educator will expand a child’s thinking to higher levels by asking open-ended questions, challenging their ideas and providing feedback. At Kids Club, it’s called the planning cycle, where educators plan, observe, evaluate and reflect on each child’s development. It’s the way they implement the pedagogy – or method of teaching – of play-based learning. “Kids Club daily routine includes large blocks of time for both child-led and teacher-initiated play. We make sure children are in charge of their play by providing an amazing array of hands-on tools, resources and natural equipment”. 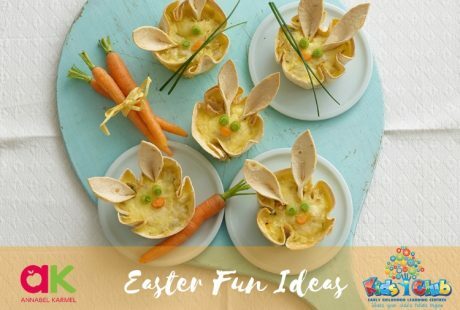 Sometimes, educators create a cooking experience with the children, and this is a wonderful example of how a fun activity can yield lots of learning. For example, while making a cake children learn about the importance of process and measurements (numeracy skills) while developing their fine motor skills. They gain confidence in preparing food and they are exposed to new words (literacy skills) and concepts. Each ingredient can be a conversation starter, such as: where do eggs come from? Then they get to experience the reward of the finished product, or if they’re unlucky they learn about trial and error! The extracurricular activities offered at Kids Club – sport, music, meditation and languages – provide even more opportunity for playful learning experiences. Educators communicate with each child’s parents to share what they have learned while participating in an activity at the centre. What is a quality play-based learning childcare and how is it better than others? Two elements distinguish a quality play-based learning childcare from others: the environment and relationships. We believe children thrive in a learning environment that is thoughtfully designed, warm and welcoming. We strive to spark the imagination and embrace nature – Kids Club designs and builds our own outdoor equipment. Our centres invite collaboration and exploration with the right materials for a quality play-based curriculum. But this doesn’t mean much unless you’ve also got that extra ingredient – love. You can have the most beautifully designed centre but every child needs a champion for both their wellbeing and learning. 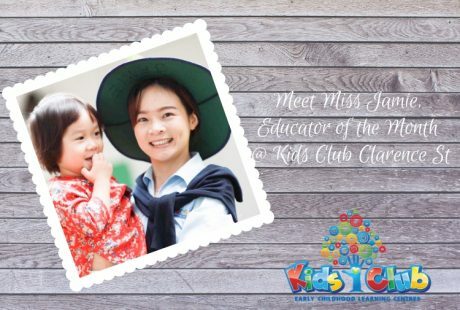 Give your child a positive learning experience at Kids Club. You can book a tour, or contact us on 1300 543 725. If you want to learn more, book a tour of your closest Kids Club centre here.